I was able to sample this Sally Hansen Product from my Influenster box and the color I received was "902 Polar Purple".. It is a pretty dark plum color has a nice sheen to it.. ooh did I forget to mention it is a magnetic polish? What a great easy way to spice up a manicure. Want to see more photos and how to?.. as well to as my review on the product? You might have seen the following photo in a magazine.. and if you're like me was intrigued by it. I always see it advertised in my magazine and always tear out the page so I can remember to look at it in stores.. Magnetic polishes never really came on trend for me.. So I'm really glad I got it in my Summer Beauty Voxbox to try. There are a few colors I want to add to my collection =). "Sally Hansen Magnetic Nail Color is summer’s hottest nail trend that allows you to create a gorgeous 3-D nail art effect in just seconds. This unique formula has been specially developed with metallic particles"
What I like about it is that it dries really fast and everyone likes a fast drying polish right? It also has a nice shine to it when it's dried. & here is the famous magnet.. What I like about this is that it's a cap that fits over the cap of the polish. It is also a good size to handle and the raised curve helps a lot. The raised tip you see is to help guide you where to place it and how low to place it. The reason is because you want to place them magnet close to the polish but you do not want it to touch it.. which is what that little tip is for. I know I know.. you guys want to know where to get it! haha I am sure you have seen them in stores and wondered about it too.. You can find it at chain drug stores (riteaid, walgreens, etc), food stores and mass merchandisers (target, kmart, walmart, etc) nationally. The SRP should be $9.99. I like it. I like how simple it is to use and how fast it takes to do all my nails. I wore this polish for approx. a week without chipping. just my nail growth. The colors they have and the design of the magnet is great for the upcoming fall and I cannot wait to use them. 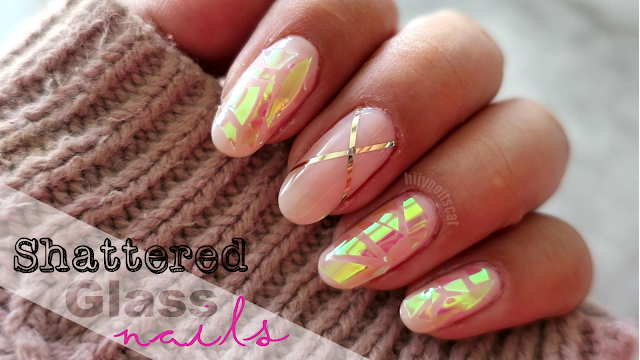 You can use the design on all your nails or as an accent nail. For the price it seems a bit much.. but I think most magnetic polishes are $10. Also you can probably find manufacturer coupons =). I hope you guys enjoyed this post and my photos. If you have not picked up this product go out and get yourself one! =).. we can be twins! haha.. just kidding.. I am hoping to go out to grab a few more colors.. I hope you guys look forward to more swatches of other colors from this line. I have the same color on my nails I love it so unique!